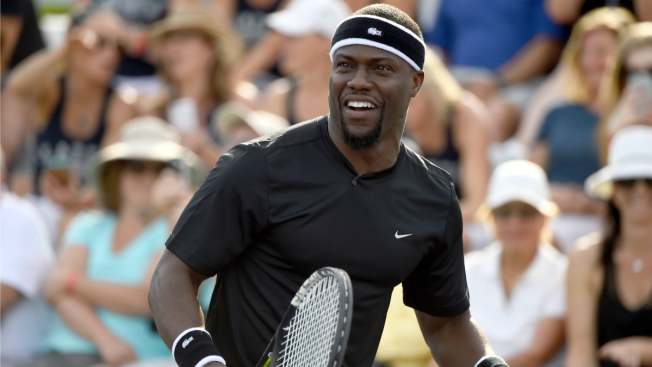 Hart plays in the 11th Annual Desert Smash benefiting Cancer For College on March 10 in La Quinta, California. Funny man Kevin Hart is hosting a 5K along the Potomac River Friday morning. The actor will join Nike+ Run Club, Nike coach Knox Robinson and locals looking to get in an entertaining run, sprint or jog. The run starts at 3000 K St. NW at 7:34 a.m. It will end at the Washington Harbour in Georgetown. The 5K welcomes all levels of athletes, whether you’re an experienced runner or just getting off the couch. Registered runners will receive Nike goods. All spots have been filled, but don’t worry if you didn’t get a registration spot. One of Hart's reps told NBC Washington that unregistered fans and runners are welcome to join the fun, they just won’t receive the Nike swag that registered runners will. This isn’t the first time Hart has held a spontaneous run. He used Twitter to organize one in Atlanta a few weeks ago.